HR19 in Portugal April 28th…! “Lifers Madness” The Movie Approves this message☮️Bless this day!!! We got 3 new States: UTAH + Ohio Medical/ Michigan Medical + Rec! Retired Bath Township Police Det. Howard “Cowboy” Wooldrige Missouri. We need the Farmy to Grow and thru Film get the word out! A N N O U N C I N G … E p i s o d e O N E i s n o w a v a i l a b l e ! 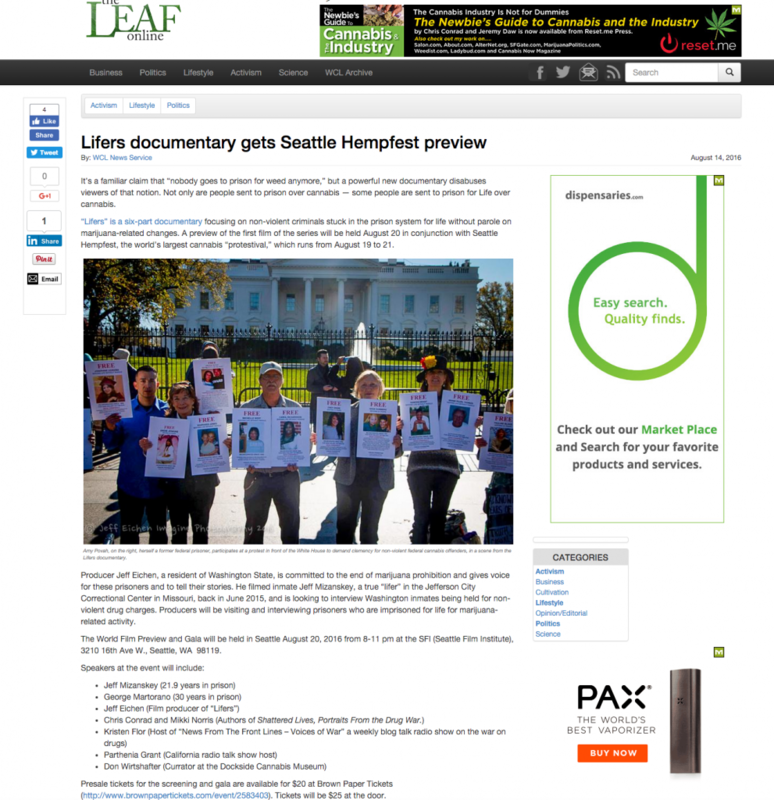 US WEED 4/20 WORLD Premier from Jeff Eichen on Vimeo. For those with Comp Codes please click Rent and apply the code you were issued. Thank You for keeping the conversation alive. Free the non violent prisoners and Free the Plant!!! 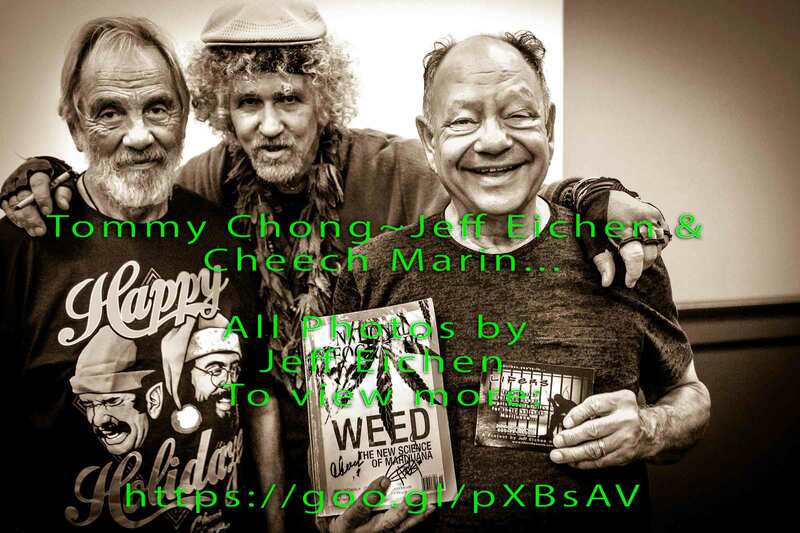 Tommy Chong Speaks to DPA 2017… from Jeff Eichen on Vimeo. Please visit us for Ansel ADAM’s Son Visit to his Grandfather’s building/The Old Alcohol Plant in Port Hadlock-Fundraiser and B+W Photo show by Jeff Eichen (your fearless leader) this weekend Sept. 30th,2017. Next Stop OCT 13th in Atlanta at the DPA Conference 2017.~ NM ~ Sen. Cory Booker just introduced a bill that could legalize marijuana nationwide ~ “the single most far-reaching marijuana bill that’s ever been filed in either chamber of Congress.” WTF POT + HEMP are not globally Legal NOW! Let my People GROW!!! Our NEW Trailer is HERE!!!! A weekend with the Hemp Elders!!! This Video is Approved by Lifers Madness! Thanks Oregon Country Fair!!! We had a great showing!!! A Six-part Documentary Series in production NOW! “Lifers” The Movie Documentary Series Rawmaste™ Productions© 2017 from Jeff Eichen on Vimeo. We now Have 3-D ART. Wholesale Here Now!. 3-D Bud ART Available! Wholesale prices too. 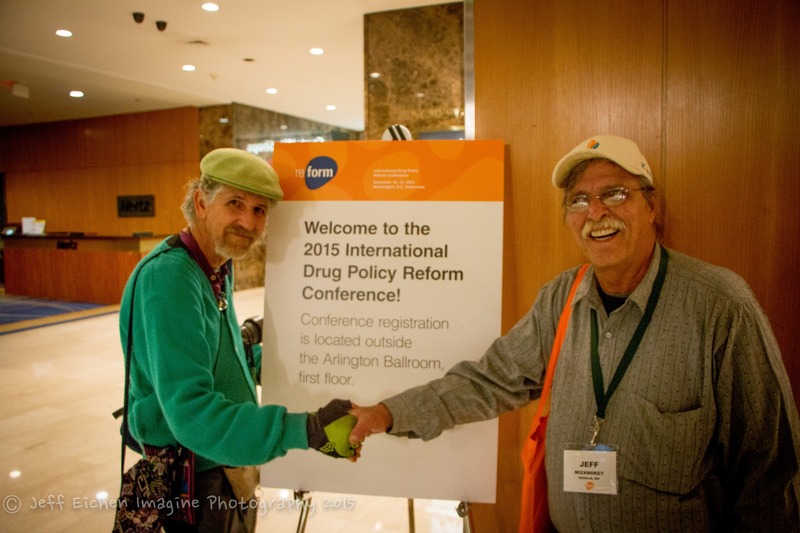 Thank You Drug Policy Alliance. 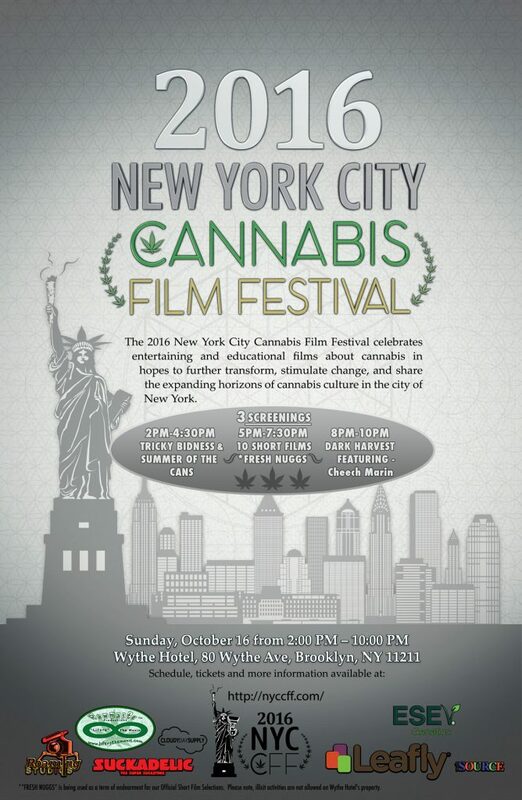 BACK 2 Back Screenings this 420 past Week Please enjoy CCS TV with Paul Stanford & Jeff Eichen from Lifers The Movie!!! Thanks Propolis and Portland & all who came, We even had Kirsten there to watch herself on the big screen for the 1st time ever… Hemp,Hemp Hooray! 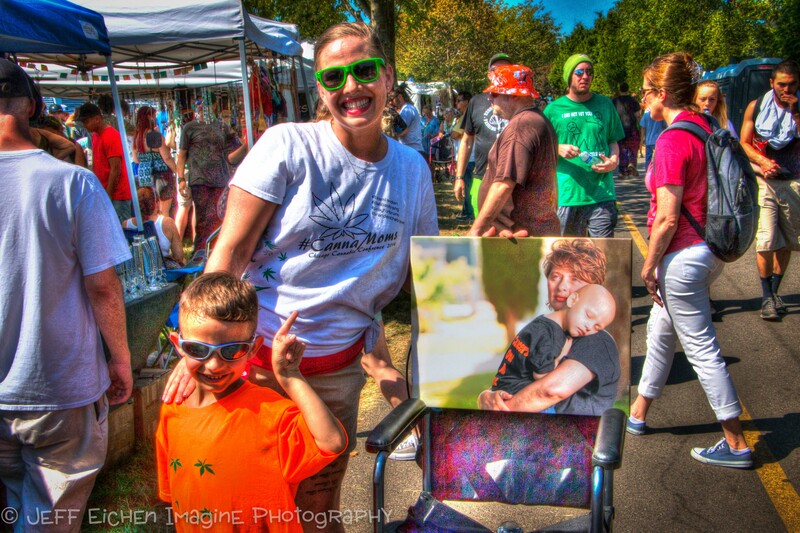 One of my Fave shots and Hemp Cancer Survivors- Landon and his CannaMom! 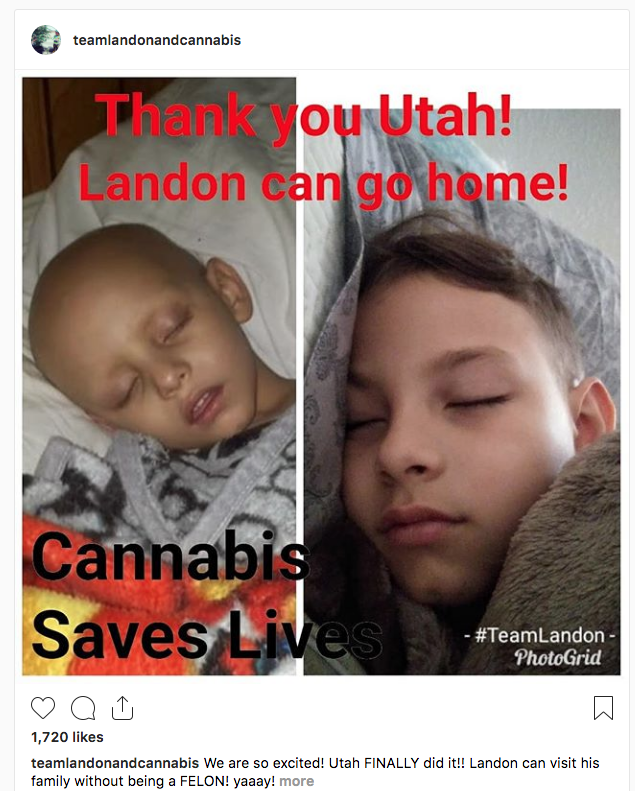 8% Chance to Live ~ Landon is alive today Leukemia free, while he was one of the first children in the US to be on a CBD/ Cannabis clinical trial… Lifers says: Let’s end Marijuana, Hemp & Cannabis Prohibition and reap the benefits from its properties/ Paper-Fiber-Fuel-Medicine and FOOD through the Plant which has so many Amazing and proven Golden results!!!. It’s time to Free the non violent prisoners and Free the Plant!!! “Lifers” Docu Series-Trailer-Short-interviews Snapshot Feb 23, 2017, 6:05:41 PM from Jeff Eichen on Vimeo.”Lifers” TRAILER ONE!!! Lifers NYCCFF Trailer 2016 from Jeff Eichen on Vimeo. 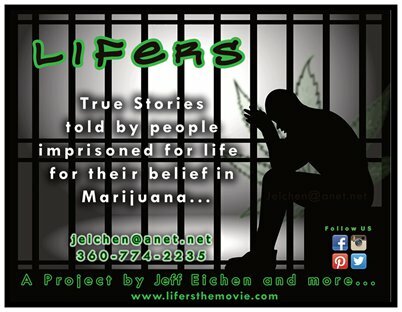 “Lifers” is a six part, forty-eight minute, documentary series that focuses on people that are currently serving life without parole in the American justice system for cannabis. Today May 5, 2016 We are adding All Non-Violent Drug War prisoners to our documentary! 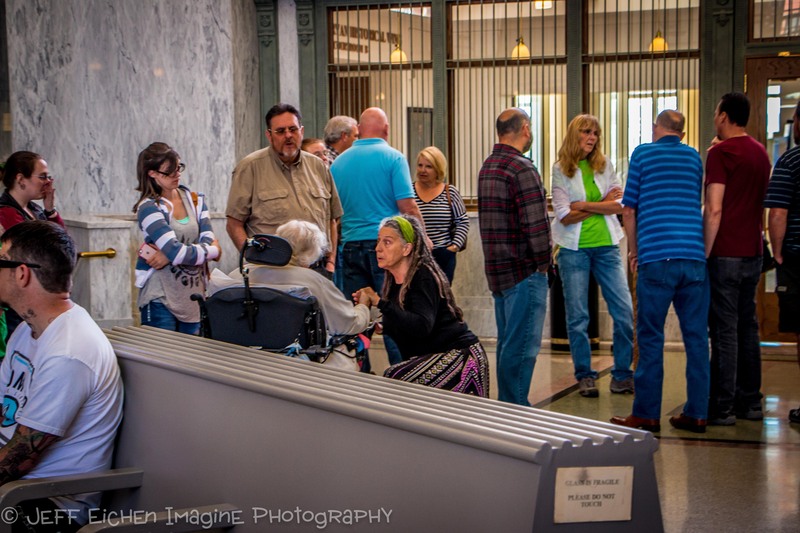 The first episode of the documentary will be focusing on prisoners that have served unusually long criminal sentences for cannabis, and industry advocates/leaders in the cannabis community that have strong beliefs to releasing people that are serving time in prison for cannabis. We will also show off our footage from our interview in June 2015 with Jeff Mizanskey inside the Missouri State Correctional Center. 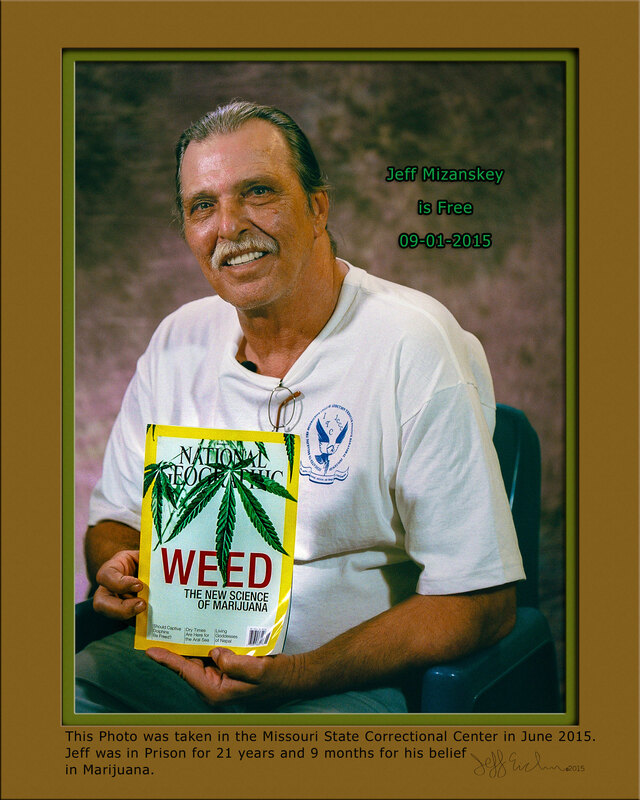 Jeff Mizanskey was a victim of the War On Drugs/ Three- Strike Policy, which kept him from freedom and behind bars for 21 years and 9 months. Jeff Mizanskey is free now as of Sept, 01, 2015. Thank You Governor Nixon. are behind bars for drug offenses: Only about 3% are for violent offenses.” according to Mikki Norris, Chris Conrad, and Virgina Resner in the book titled “Human Rights – US Drug War”. Jeff Eichen has spent the last 30 years pursuing the legalization of cannabis. 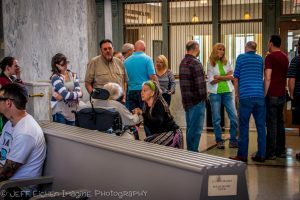 He has spoken with several leaders in the industry across the United States about the ongoing issue of people serving life without parole sentences for non-violent cannabis crimes. His background in photography has let him capture this story in a moment by moment cinematic form and now his goal is to push for the creation of a documentary series that would be distributed via broadcast television or online through companies such as Netflix or Hulu. We appreciate your Stories and testimonials. How Significant Are Obama’s 1,385 Commutations? 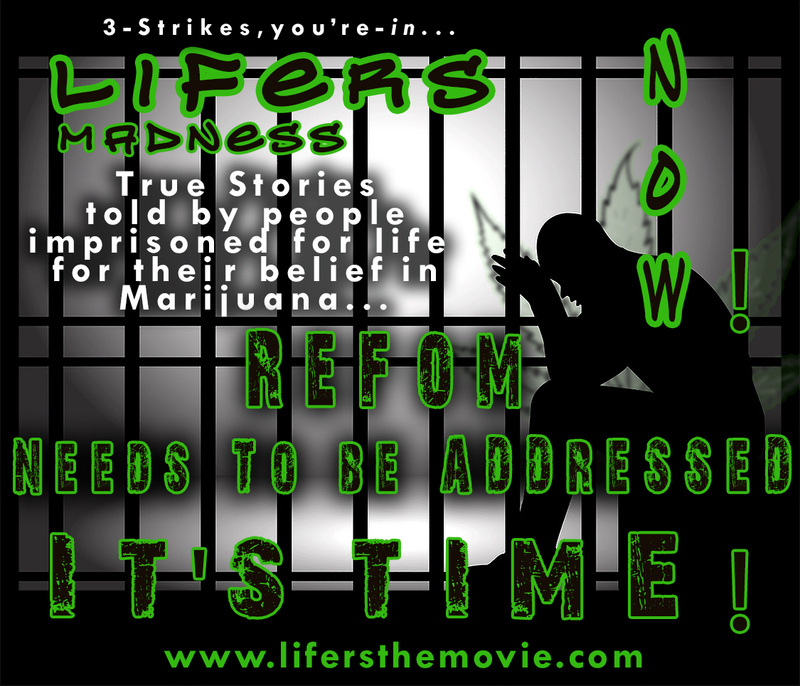 “LIFERS” The Movie is a bit disappointed, but holding hope for Total Freedom very soon! President Obama has commuted more prison sentences during his presidency than the total number of commutations issued by the past 12 presidents combined. But when you compare the percentage of commutations to the overall prison population, his record begins to look less historic. No time to give-up now. Lifers appreciates your assistance to support our travel, and Film Project Pre and Post Production to get the Movie Series out to Festivals and the WORLD! 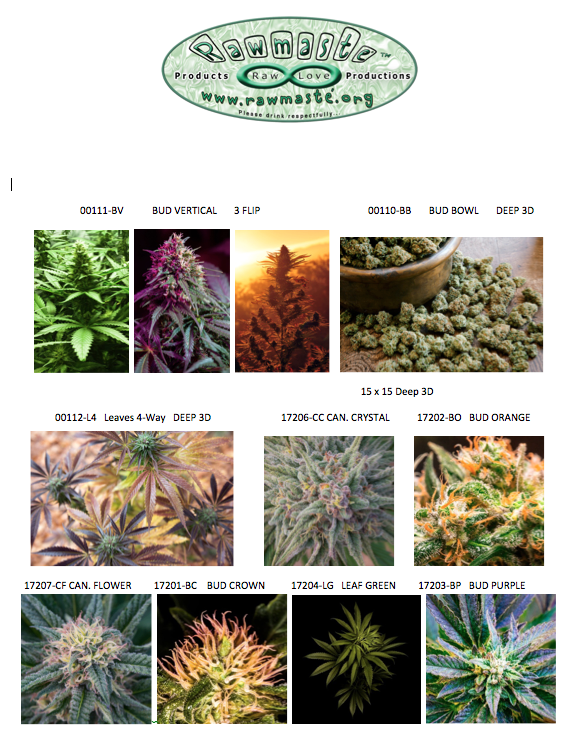 Dear Obama, on your way out, please free Free The Non-violent Prisoners- Free the Plant and federally legalize Marijuana. Guess what? Obama did good, but our Plant Prisoners are still in JAIL!!! Legalize it, don’t criticize it! 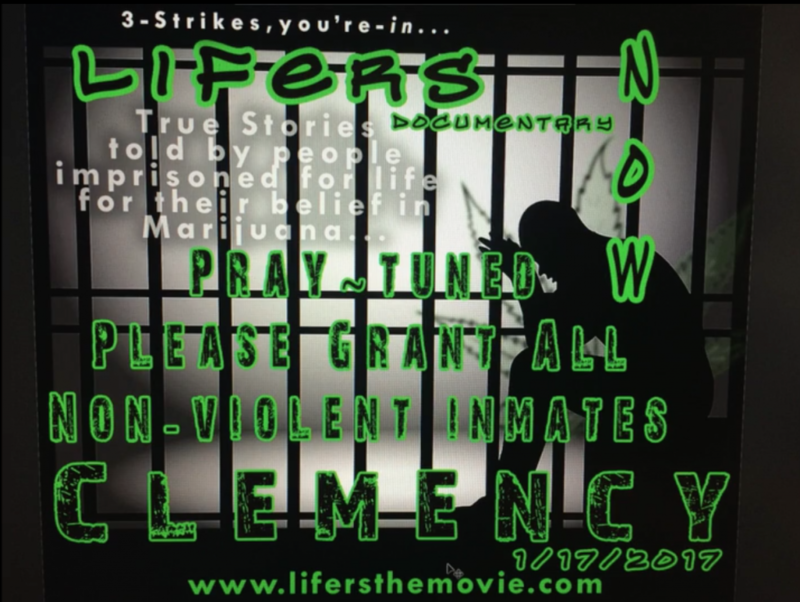 Lifers The Movie Trailer and Message to Mr. President Obama + Now Jeff Sessions…from Jeff Eichen on Vimeo. 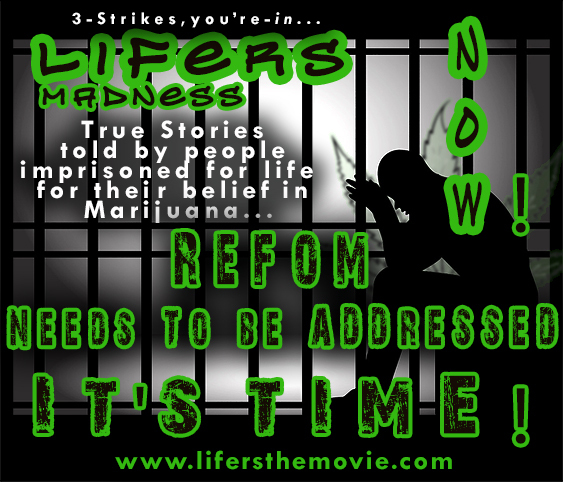 Lifers The Movie Message to Mr. President Obama from Jeff Eichen on Vimeo. Free The PLANT PRISONERS AND FREE THE PLANT!!! Making CBD illegal~The component in the Marijuana plant family responsible for assisting with Pain, Cancer and Epilepsy to name a few, is utterly unforgivable. 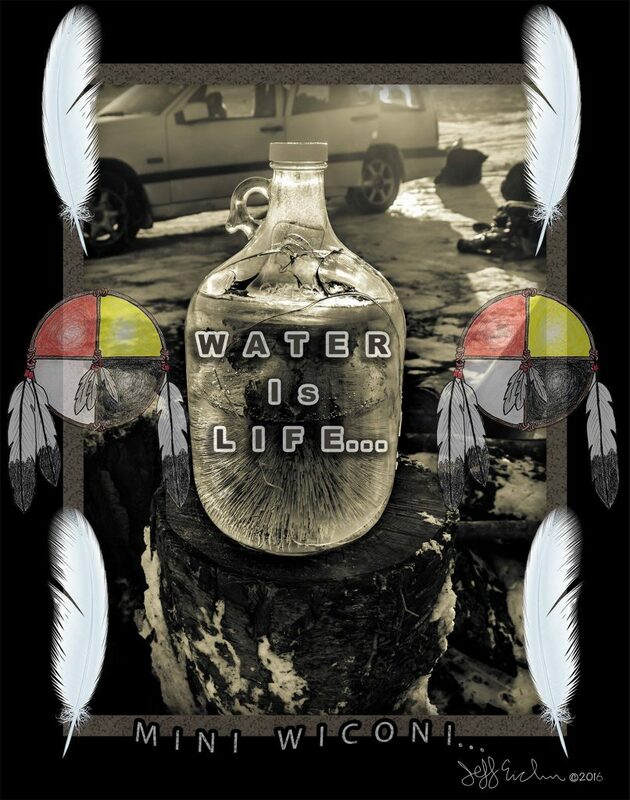 STANDING ROCK was a Life experience!!! June 17 marks the 45th anniversary of the War on Drugs, and it’s time to come to a concession: The war on drugs has been incredibly successful. You read that right. You could even take it a step further and argue that of all of the policies that American politicians enacted in the 20th century, the war on drugs was the most successful one. 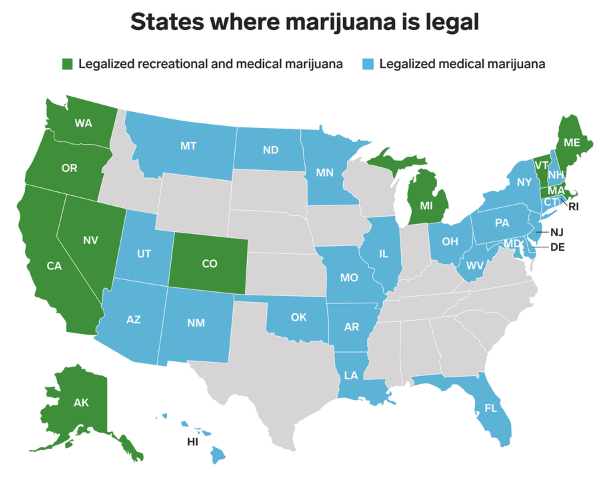 Our map shows current state laws and recently-approved ballot measures legalizing marijuana for medical or recreational purposes. 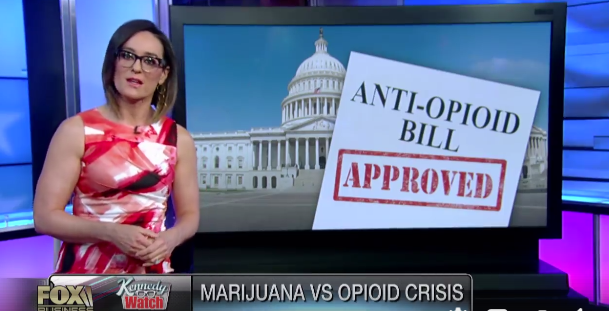 Medical marijuana laws recently passing in Arkansas, Florida and North Dakota have yet to become effective. Laws permitting recreational use in Maine, Massachusetts and Nevada have also not yet been implemented after receiving voter approval. Information is current as of Nov. 11, 2016. Some states, such as Virginia, enacted laws decades ago allowing for the possession of marijuana if individuals received prescriptions from doctors. Federal law, however, prohibits doctors from prescribing marijuana, rendering those laws invalid. Doctors can only write a recommendation for medical marijuana, which is different than a prescription. Murderers, rapists and child molesters have spent far less time behind bars. On October 8th, the Department of Justice announced that 6,000 federal inmates would be released “to reduce overcrowding and provide relief to drug offenders who received harsh sentences over the past three decades,” part of President Obama‘s new prison reform plan, which he addressed in July in Philadelphia at the NAACP convention. Well, it turns out that just three days before the DOJ announcement, former Philadelphia drug dealer George Martorano was released from federal prison after serving 31 years on drug charges. Martorano — the son of late Philly mobster Raymond “Long John” Martorano — was said to be the longest incarcerated non-violent offender in the federal prison system prior to his release on October 5th from Florida’s Coleman Prison. 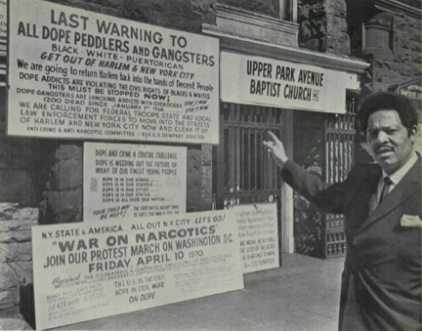 Arrested in Philadelphia in 1982, later pleading guilty to drug charges (no violent offenses), and sentenced to life in prison without the possibility of parole, the South Philadelphia man was considered to be one of the biggest casualties of Ronald Reagan‘s War on Drugs. Indeed, many murderers, rapists and child molesters have spent far less time in prison than Martorano. That’s not to say that Martorano was dealing dime bags of weed on the street corner. Federal authorities accused Martorano of being at the top of an organized crime drug business that saw annual revenues of $75 million. 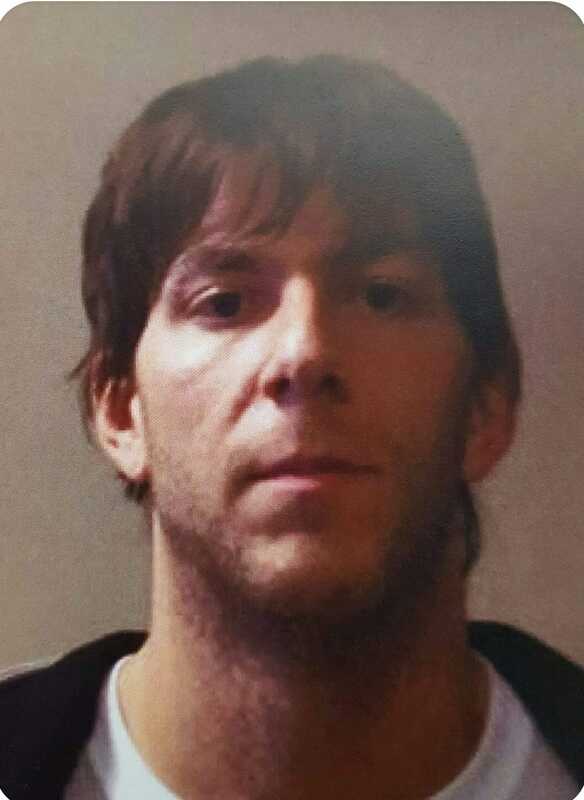 The FBI caught him with a truckload — literally, a truckload — of marijuana, and his guilty plea included a variety of drug charges, including heroin and cocaine distribution. So how does a guy enter a guilty plea and still wind up being sentenced to die in prison? Good question. Martorano’s attorney in the drug case was the notorious Robert “Bobby” Simone, a good friend of the mobster Nicodemo “Nicky” Scarfo. Simone advised Martorano that if he entered a guilty plea, he would likely spend around a decade in prison, even though that was actually harsher than the time suggested by the sentencing guidelines back then: just three or four years. But, much to Martorano’s shock and horror, the judge dished out the drastic sentence, later affirmed by another judge after an appeal. By all accounts, Martorano was a model prisoner, teaching other inmates yoga, creative writing and a prison course called Release Preparation: Starting a Business for Under $1,000. He never stopped fighting for his release. He petitioned the Supreme Court to take his case — they declined — and in 2014, he asked the court to reduce his sentence. In that appeal, a prison psychiatrist called Martorano’s behavior “outstanding” and insisted that he “has been a positive role model and positive influence.” Finally, when he turned 65 this year, he became eligible for the DOJ’s Compassionate Release program, and now he’s a free man. Since walking out of prison, Martorano has been spending his time with his sister and her husband in Florida. Both of them spent countless hours lobbying for his release. (Below is a photo of the three of them, with George on the left). We attempted to reach Martorano through his current attorney, Theodore Simon — yes, the same Theodore Simon who represented Amanda Knox and Ira Einhorn — but so far, Martorano’s not talking. He is marijuana’s forgotten man. Antonio hasn’t been mentioned in a U.S. newspaper since 1982. He’s unremarked upon on marijuana-related web sites. 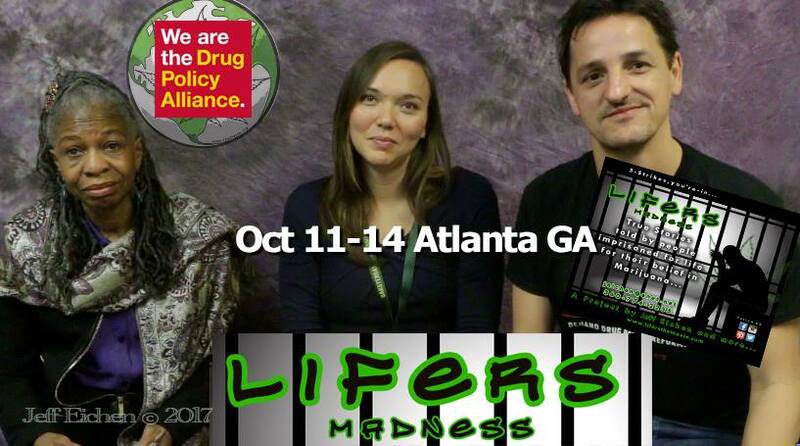 Even Beth Curtis, founder of lifeforpot.com and an expert on prisoners serving long marijuana sentences, was amazed that she had not heard of him. Four weeks ago, Antonio’s youngest daughter, Aicha, sent an unsolicited e-mail to The Clemency Report: “Hello! Can you help me?,” she asked. Her father’s case seemed too horrible to be true: 35 years in prison for a non-violent, first-time marijuana-only offense? Sadly, research confirmed the story was true — and even more important than his daughter realized. TONY was Not released this past WEEK! Come on FOfLiKS!!! and please keep sharing this petition. their sixth amendment right to a trial by jury and received significant sentencing enhancements as a result. seeking to reduce their own sentences. in order to qualify marijuana lifers for commutation. families by offering them a second chance at returning to life as productive members of society. JEFFY FRESH APPROVES THIS MESSAGE! #Free the Non-Violent Prisoners~Free the Plant! 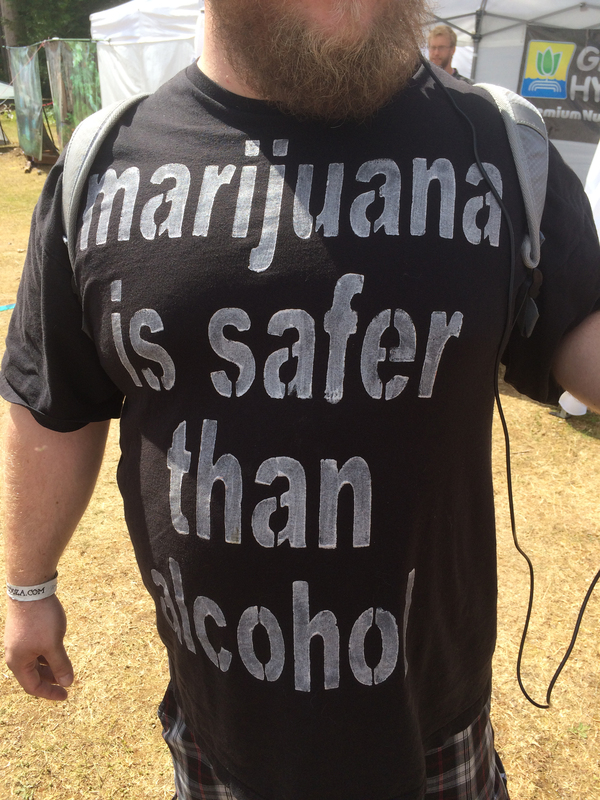 #End Prohibition for Marijuana NOW!!! I still want your story, I will interview you!!!! 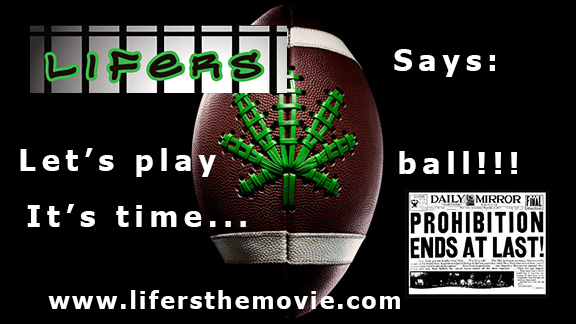 and “Lifers” will be fundraising for Production and travel to Prisons all over the Globe. We certainly appreciate your generosity and contributions. IT IS TIME TO END GLOBAL PROHIBITION!!! Please go to our Inside-Out Payment page for a Secure PayPal donation, we certainly appreciate YOU! “Lifers” In Prison for What? Documentary by Jeff Eichen on Vimeo very soon. This video is about “Lifers” In Prison for What? Wear 50%+ Green and get a discount~Plus there will be some Give-Aways! This is also the launch for our FUNdraiser campaign!!! July 30th this Just In!!! : I am dedicating my life to “Lifers” and all who are and have never had PURE JUST-US or some may like Justice!!! Just in! 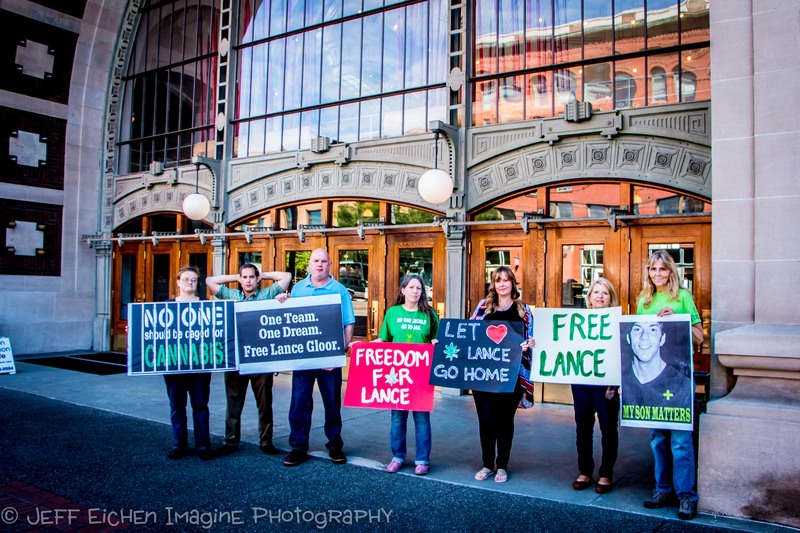 : Obama Cuts Prison Sentences for 200 Drug Offenders recently, and WA State in Federal Court, Tacoma on June 3, 2016, found Father and legal Cannabis entrepreneur Lance Gloor Guilty and gave him 120 months and then 5 years probation. Clemency, Reform, Restitution~End Prohibition NOW!!! 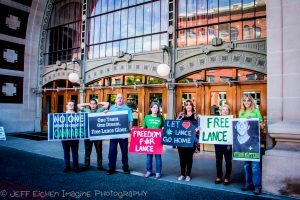 Free Lance Glor June 3, 2016- Sentencing day! 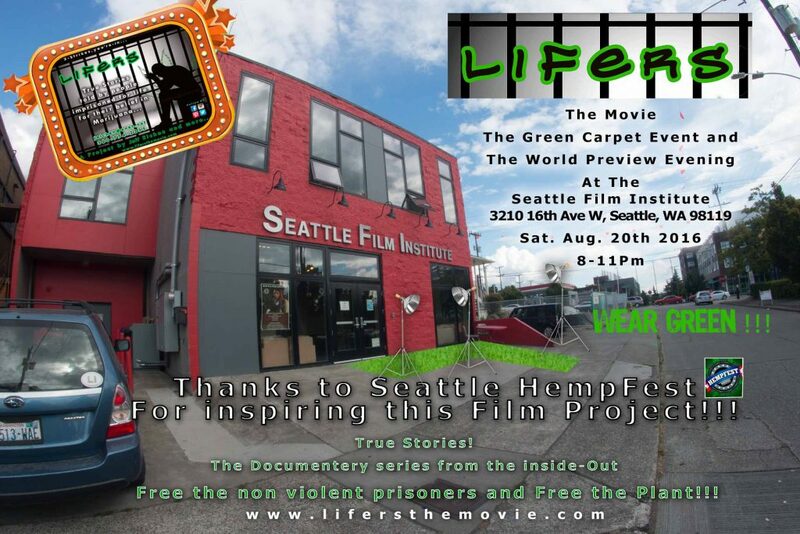 “Lifers” is a six part, forty-eight minute, documentary series that focuses on people that are currently serving life without parole in the American justice system for cannabis. Today May 5, 2016 We are adding All Non-Violent Drug War prisoners to our documentary! 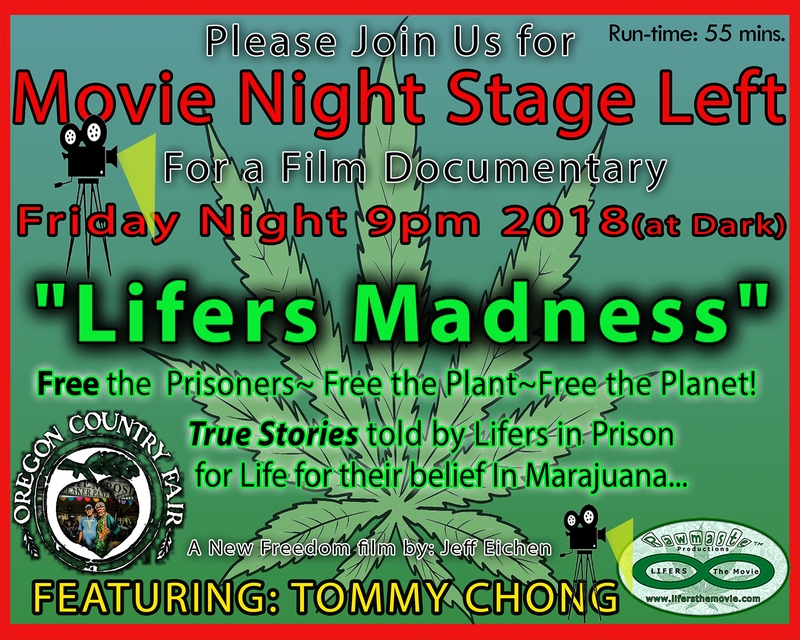 The first episode of the documentary will be focusing on prisoners that have served unusually long criminal sentences for cannabis,and industry advocates/leaders in the cannabis community that have strong beliefs to releasing people that are serving time in prison for cannabis. We will also show off our footage from our interview last June 2015 with Jeff Mizanskey inside the Missouri State Correctional Center. Jeff Mizanskey was a victim of the War On Drugs/ Three- Strike Policy, which kept him from freedom and behind bars for 21 years and 9 months. Jeff Mizanskey is free now as of Sept, 01, 2015. Thank You Governor Nixon. Lifers The Movie Episode 1-K-Full Rough Draft from Jeff Eichen on Vimeo. The goal of the project is to raise awareness and aid in freeing all prisoners in America that are serving sentences for non-violent cannabis crimes.